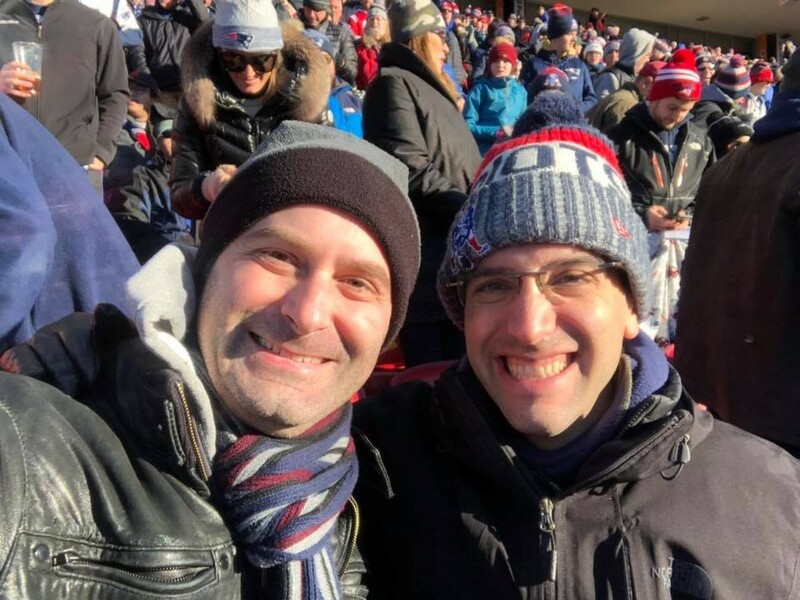 Like many Patriots fans, I experienced the emotional rollercoaster of watching last Sunday’s AFC Championship game against the Kansas City Chiefs. It was one of the most exciting games and satisfying victories that I have seen in a long time. Yet, what I’ve been thinking about most as I look back on it are the postgame press conferences. I learned about the power of community at an early age, though my most poignant associations with community were not particularly Jewish. Playing competitive team sports, creating and performing in theater productions, and 11 summers of overnight camp taught me what it feels like to connect deeply with others and be part of something much larger than myself. The image that comes to mind most vividly for me is a circle of individuals – friends, teammates, kindred spirits – hand-in-hand or arm-in-arm. Whether in the opening huddle getting fired up for the game, back stage before the curtain rises, or on the hillside of Camp Bauercrest singing the alma mater on the last night of camp, the experience was similar. We would look simultaneous into one another’s eyes and toward the circle’s center, which to me represented the shared experiences and shared purpose to which each of us felt connected and committed. I have always felt that in community I am my fullest self. It was only years later that I read Chapter 19 of the Book of Exodus (this week’s Torah portion) and the description of the Israelites’ experience of receiving the Torah at Mount Sinai. In Judaism, revelation – the experience of the Divine – is not primarily an individual experience. God speaks to the entire Jewish People together and forms a relationship with the collective, which transcends time and place. The rabbis describe the existential state of the Israelites when they arrive at Mount Sinai after leaving Egypt and a few months of travel through the wilderness as, “like one person, with one heart.” Our tradition teaches that the Torah would be given in 70 languages and that each person would hear it according to his or her unique ability to receive. The story preserves and honors the distinctness and the dignity of the individual. At the same time, the Sinai experience is characterized by a sense of unity, of radical interconnectedness. The Israelites stood together – in a circle, at least according to my imagination – eternally bound to one another by their collective relationship with something larger than themselves. For me this idea of covenantal community is both deeply Jewish and integral to the human experience, not to mention to the legacy of our beloved Patriots! It also animates CJP’s mission to build communities of learning and action in which individuals connect to one another, find meaning and purpose, and build a vibrant Jewish future and a better world. If you'd like to sign up for my biweekly messages, don’t forget to sign up here. 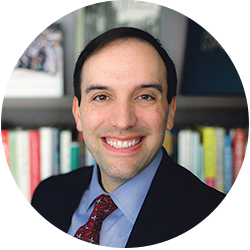 CJP President and CEO Rabbi Marc Baker is an educator, writer, and leadership mentor who is devoting his life to Jewish learning and building Jewish communities.